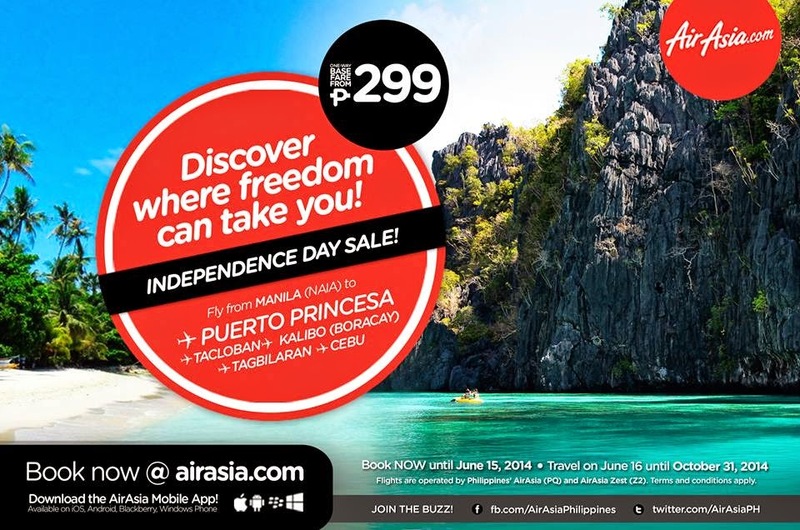 Air Asia Promos 2019 to 2020: Independence Day SALE! AirAsia Zest Promo 2015: Let nothing stop your wanderlust! Fall in love with the beautiful gems of the Philippines and discover where freedom takes you! Fly from as low as P299 base fare available @ http://airasia.com/! Fly immediately from Manila (NAIA T4) to Boracay, Bohol, Cebu, Puerto Princesa and Tacloban! Book now and start flying on 16 June till 31 October 2014! You can also book this promo anytime, anywhere with your mobile! Download the AirAsia Mobile App now at http://airasia.com/apps! ‘Share’ this with your family and friends now and tell us, which Philippine destination would you like to discover?